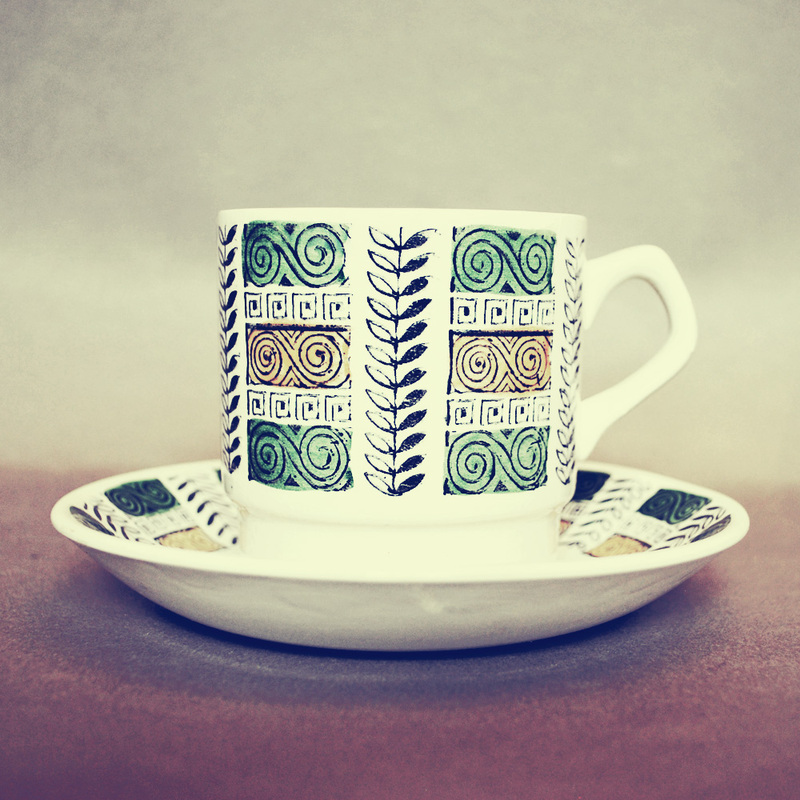 We like tea at Drunken House and nothing makes us feel more ‘retro’ than this Biltons green and yellow greek(ish) style pattern. The England company have been making pottery since the 1900’s and this collection we put at around 1960, although we cannot discover for sure. The set consists of: 6 Tea Cups, 6 Saucers, 6 Small Plates, 1 Milk Jug, 1 Sugar Bowl and 1 Large round plate for cake or sandwiches.